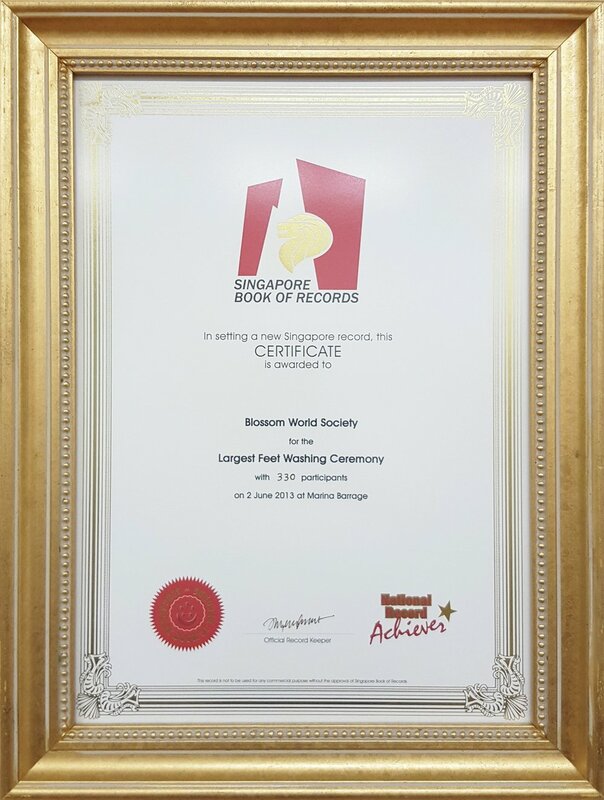 Blossom World Society Makes It To World Records! 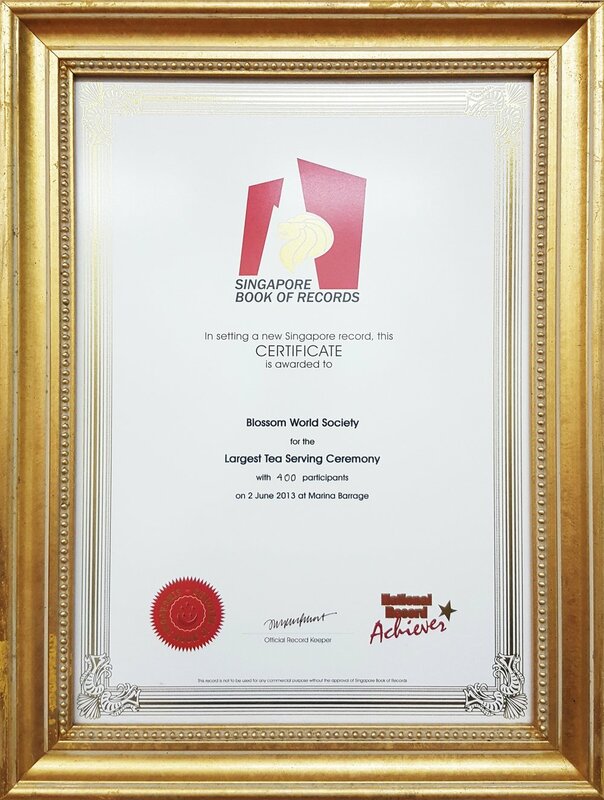 Blossom World Society is honoured to be able to make it into the Elite World Records and Singapore World Records for three of its events! The records are namely the largest feet-washing ceremony, largest tea-serving ceremony, and the largest gathering of people with lighted candles. 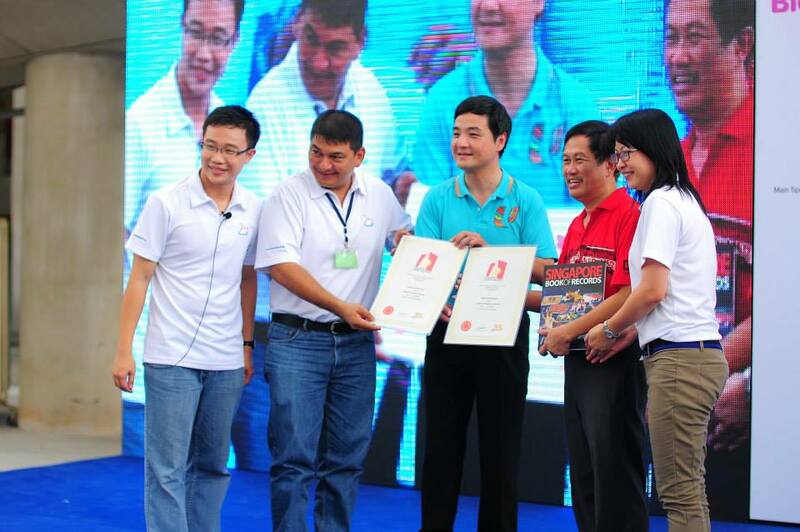 Set at the Marina Barrage on 2 June 2013, the largest feet-washing ceremony counted a total of 330 participants. The event gave the younger generation an opportunity to pay gratitude to their parents as they washed their parents' feet and were reminded of the importance of filial piety. 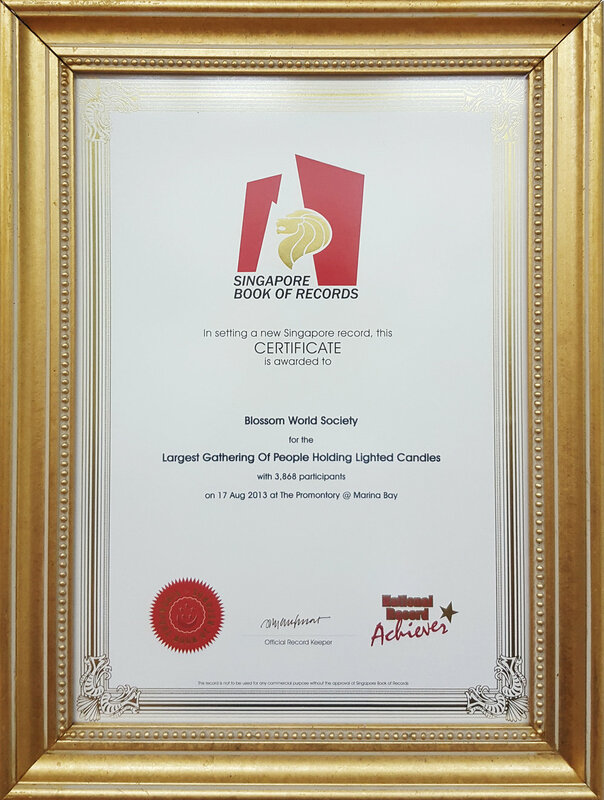 In another Blossom World Society's event "Youth Love Singapore", held in celebration of Singapore's 48th birthday in 2013, 3,800 participants turned up and joined in with lighted candles in hand as they pledged their love and respect to our nation.